A stellar year for the digital marketing industry has come to an end, and even more relishing opportunity awaits with greater things set to be accomplished in 2018. These are some of the 2018 marketing trends that will dominate the digital ecosystem. Experts foresee Live Videos, Influencer Marketing and many more social media marketing channels to gain more prominence this year. It has been observed that Live streaming revenue budget will reach $70.05Billion by the year 2021, and marketers swear by the positive effects of social media Influencer marketing with as many as 94% vouching for it. 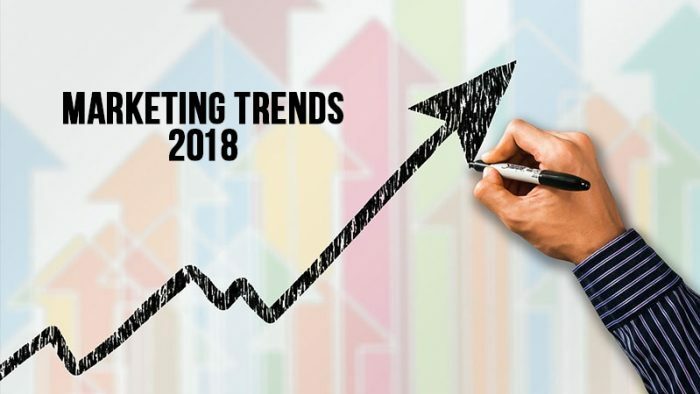 The 2018 marketing trends will vastly comprise of these digital marketing channels to take this year to newer heights and script many more victories for brands and businesses who employ them in their strategy. This Infographic lists the 2018 marketing trends to overtake other modes of marketing dominate social media and digital marketing this year.